DON’T MISS OUR 2018-19 CHEF’S WINE DINNER series hosted by bar bianco. please email us at events@chrisbiancogroup.com if you would like more information on purchasing the season series or our vip packages. We offer seasonal cocktails, great wines, craft beers, artisanal spirits and house made bar snacks. Bar Bianco is an amazing place to have drinks with friends and is the perfect meeting place before or after a game, concert downtown or while you wait for dinner at the pizzeria. 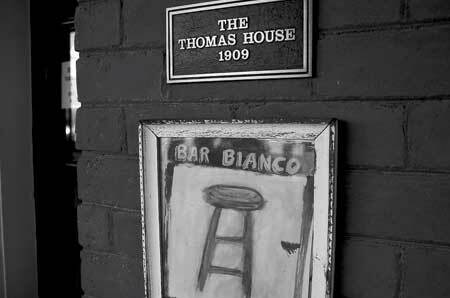 Bar Bianco is housed next door to the Original Pizzeria Bianco in beautiful Historic Heritage Square downtown Phoenix.